Add this healthy addition to your morning coffee. What can you add to your coffee to make it even healthier? Cocoa powder! Coffee is already the top source of antioxidants in our diet. It protects against Alzheimer’s disease and Type 2 diabetes. But you can increase the health benefits by stirring in a teaspoon or two of unsweetened cocoa powder, or adding it to the grounds before you brew. 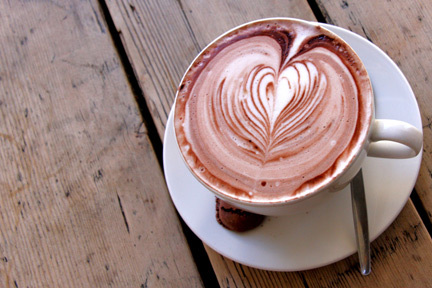 Cocoa is an anti-inflammatory, which means it relaxes blood vessels, lowering your risk of heart disease and stroke. In fact, cocoa powder is as healthy as red wine. Go ahead and warm up with a mug of hot chocolate. Believe it or not, it has 3 times more antioxidants than green tea. The key is to look for brands made with actual cocoa powder. But make sure you have hot cocoa – not cold chocolate milk. Because when cocoa powder is heated, it triggers the release of more antioxidants.